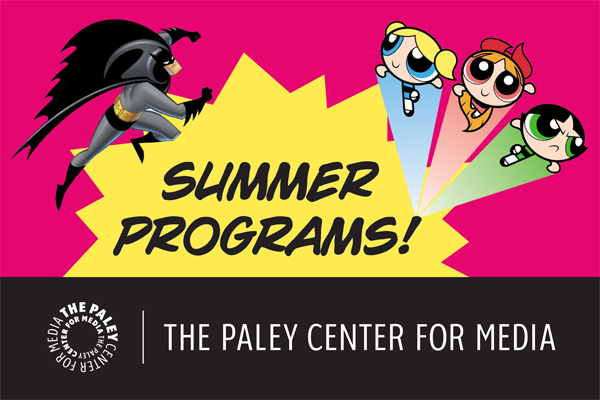 Bring your school and camp groups to the Paley Center for some summer fun! Our summer programs are exciting classes about captivating topics, such as the environment and superheroes. All classes are interactive, with guided discussion designed to encourage active observation and critical thinking. Classes are ninety minutes long and require reservations. To schedule classes, email eduny@paleycenter.org or call 212.621.6600 and ask for education. There is an $90 fee for each group of up to thirty students (and $5 for each additional student) to be paid in advance. As students watch a series of short programs about the environment, they will be asked to think about ways to nurture and protect the world that surrounds them. After the screenings and discussion, they will make seed necklaces to take home. Explore the many different ways people live, work, and play in countries around the world like Brazil, Malaysia, and the Philippines. Through viewing and discussion, students will compare their own lives to those of children elsewhere and consider how the natural environment and local customs shape and influence people's lives. Experience the magic of animation and learn about the process behind one of television's most creative forms. Students will watch a series of clips and have the chance to create their own flip books. What are superheroes, how are they portrayed on television, and how has their depiction changed over time? How does a villain differ from a hero? Workshop participants will examine a variety of heroes and villains from television. After screenings and discussion, students will create their own hero and villain characters. Kids will enjoy this humorous clay animation series from the United Kingdom about an off-beat inventor named Wallace and his intelligent dog Gromit. This ninety-minute screening package features three films starring Wallace and Gromit, A Grand Day Out, The Wrong Trousers, and A Close Shave, plus the short Creature Comforts. This show discusses the ability of animation to create characters out of inanimate objects. Walt Disney explains that due to the potential of animated features, all sorts of objects can potentially become living, breathing characters. He presents examples of this principle in action, such as an animated version of an Aesop fable about an old, inflexible oak tree blown over by the wind because he would not bend. This documentary focuses on the special effects used in George Lucas's film The Empire Strikes Back. Highlights of this program, narrated by Mark Hamill, include an explanation of stop-motion photography; clips from early fantasy films, including King Kong, The Thief of Bagdad, and Trip to the Moon; a clip from Star Wars; and a demonstration of the creature models used in The Empire Strikes Back.